Minutes to downtown and the Kelowna International Airport. 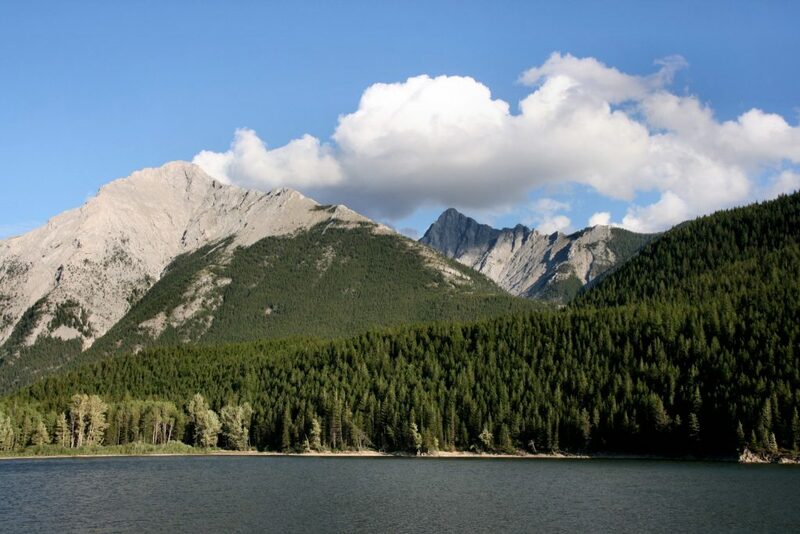 Conveniently located directly of HWY 97. 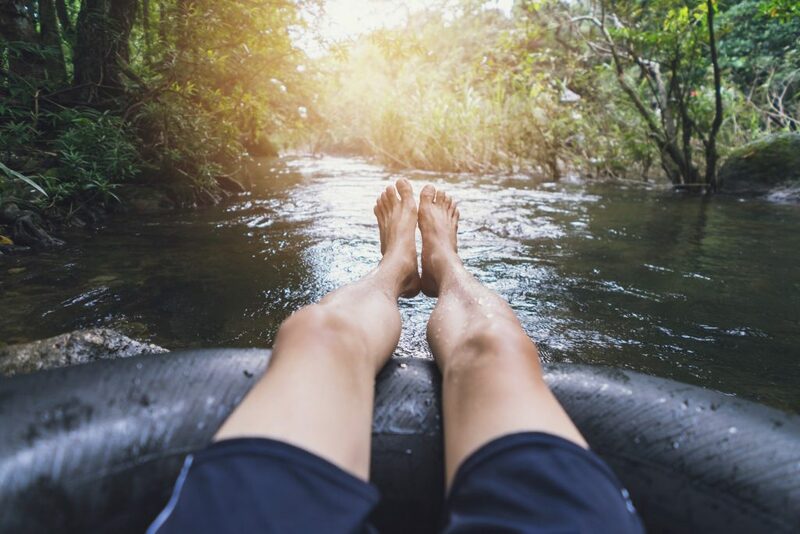 Kick back, relax and enjoy our hot tub, pool and two water slides during your stay. 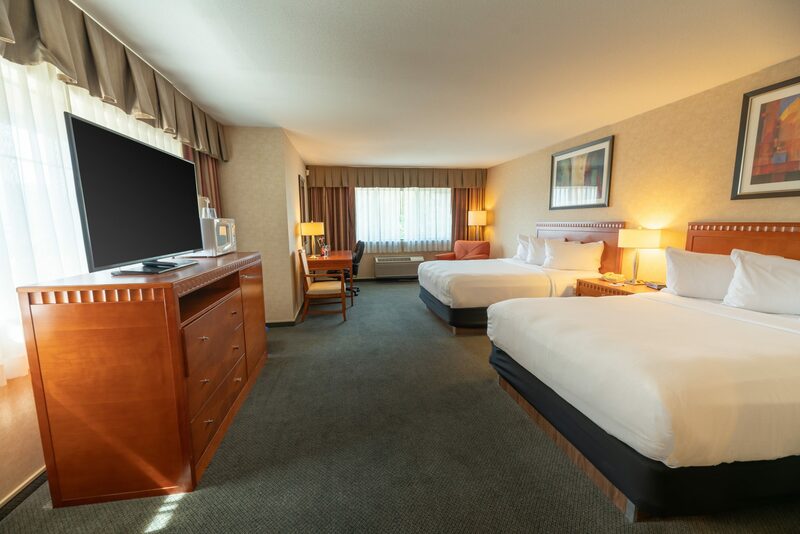 With 50″ 4K TVs in every room, with a variety of shows and movies available. Enough food to survive a Canadian winter or win a Stanley Cup, served fresh every morning. 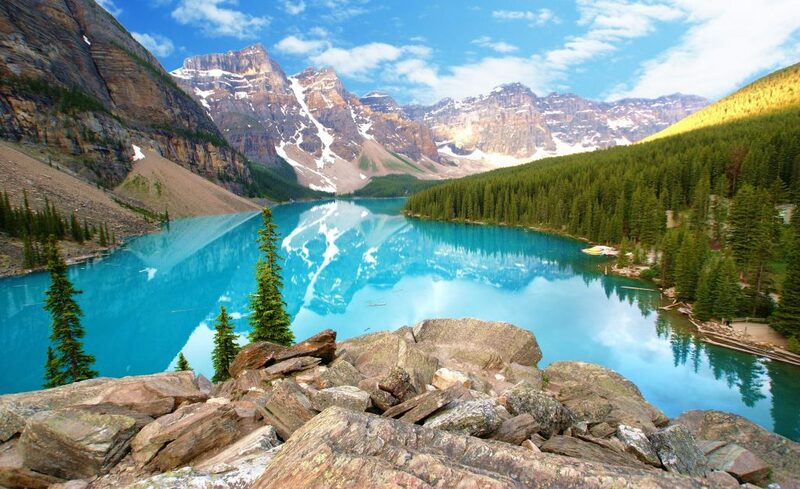 We’ll supply canoe-fulls of maple syrup with your continental breakfast. 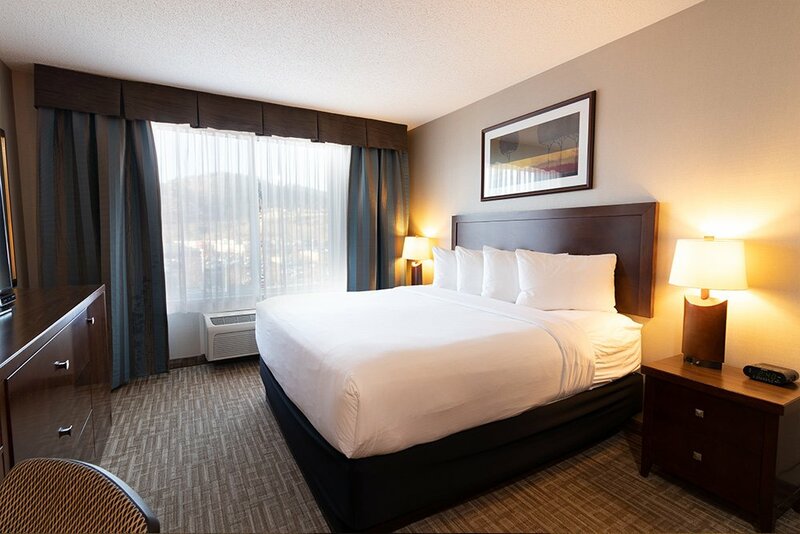 We’re not sorry about the value of staying at the Kanata hotel in Kelowna BC. 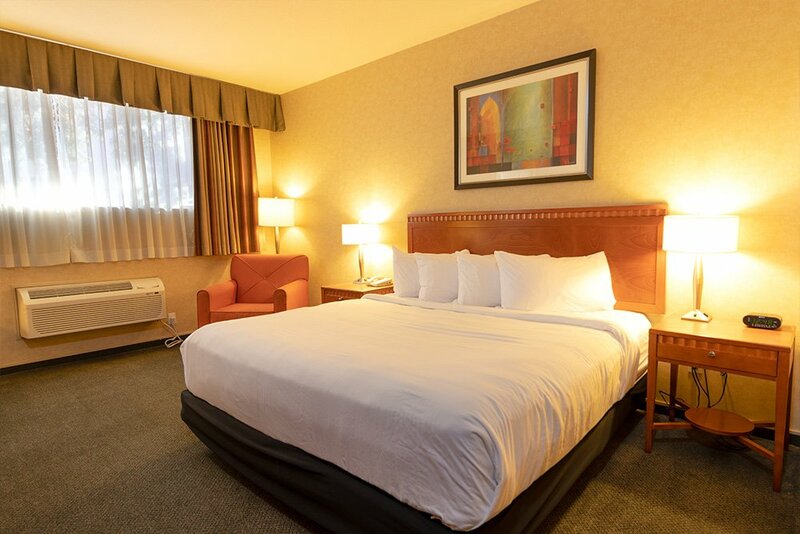 Your stay also includes access to our business center, fitness center, and guest laundry facilities. If there’s anything our staff can do to sweeten your stay (like some extra maple syrup!) let us know! Each room features 1 Queen sized, pillowtop bed appointed with high-quality linen and hypoallergenic pillows. 50” 4K TV, cable, free WiFi, free hot continental breakfast, mini-fridge, microwave and Keurig coffee machine. Private bathtub/shower combination with extra large towels, blow dryer, high-quality bathroom amenities, Iron, ironing board and powered work station. 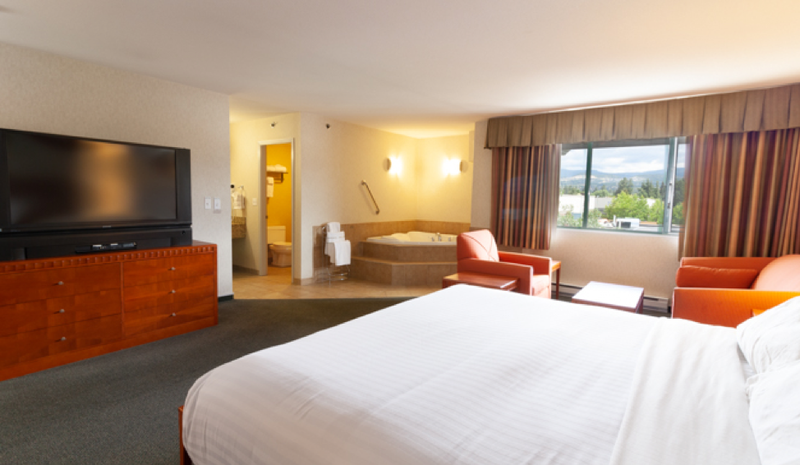 Each room features 1 King sized, pillowtop bed appointed with high-quality linen and hypoallergenic pillows. 50” 4K TV, cable, free WiFi, free hot continental breakfast, mini-fridge, microwave, and Keurig coffee machine. Private bathtub/shower combination with extra large towels, blow dryer, high-quality bathroom amenities, Iron, ironing board and powered workstation. 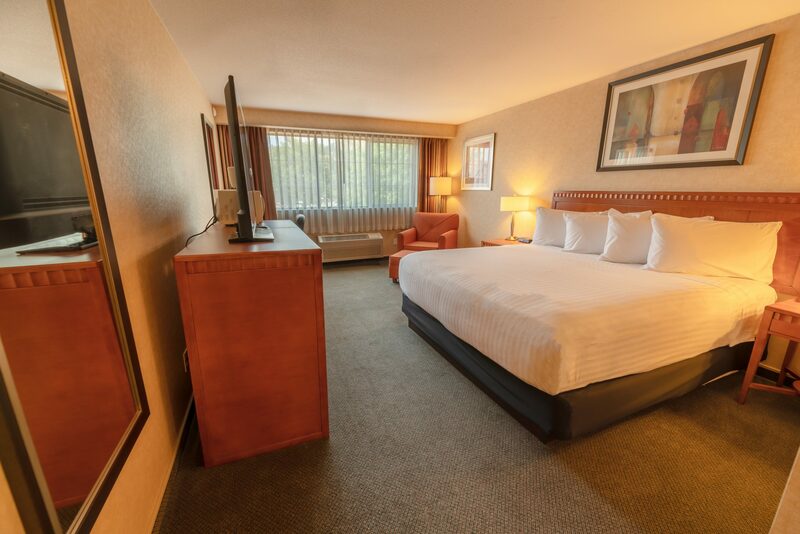 Each room features 2 Queen sized, pillowtop beds appointed with high-quality linens and hypoallergenic pillows. 50” 4K TV, cable, free WiFi, free hot continental breakfast, mini-fridge, microwave and Keurig coffee machine. Private bathtub/shower combination with extra large towels, blow dryer, high-quality bathroom amenities, Iron, ironing board and powered workstation. 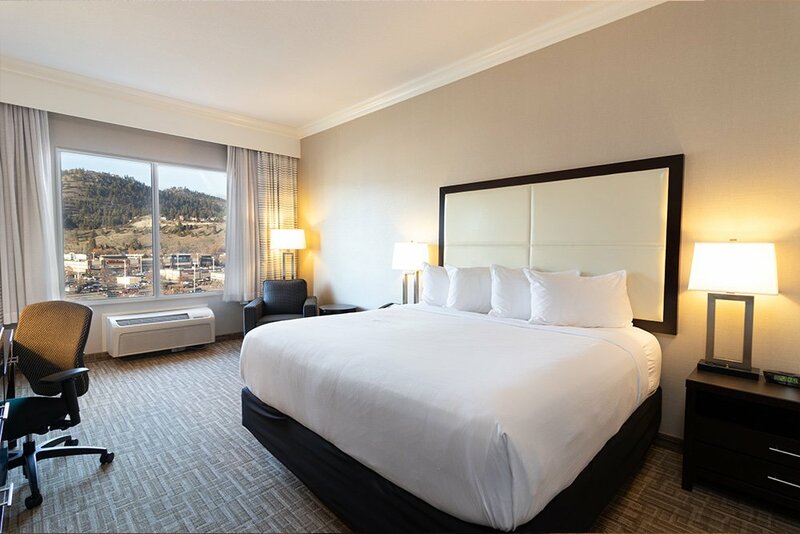 Located in our modern tower, each room features 2 Queen sized, pillowtop beds appointed with high-quality linens and hypoallergenic pillows. 50” 4K TV, cable, free WiFi, free hot continental breakfast, minifridge, microwave and Keurig coffee machine. Private bathtub/shower combination with extra large towels, blow dryer, high-quality bathroom amenities, Iron, ironing board and powered workstation. Located in our modern tower, this two room suite features a living area with sofa, Dining area and wet bar. The separate bedroom features 2 Queen sized, pillowtop beds appointed with high-quality linens and hypoallergenic pillows. 50” 4K TV, cable, free WiFi, free hot continental breakfast, mini-fridge, microwave and Keurig coffee machine. Private bathtub/shower combination with extra large towels, blow dryer, high-quality bathroom amenities, Iron, ironing board and powered workstation. Located in our modern tower, each room features 1 King sized, pillowtop bed appointed with high-quality linen and hypoallergenic pillows. 50” 4K TV, cable, free WiFi, free hot continental breakfast, mini-fridge, microwave and Keurig coffee machine. Private bathtub/shower combination with extra large towels, blow dryer, high-quality bathroom amenities, Iron, ironing board and powered work station. 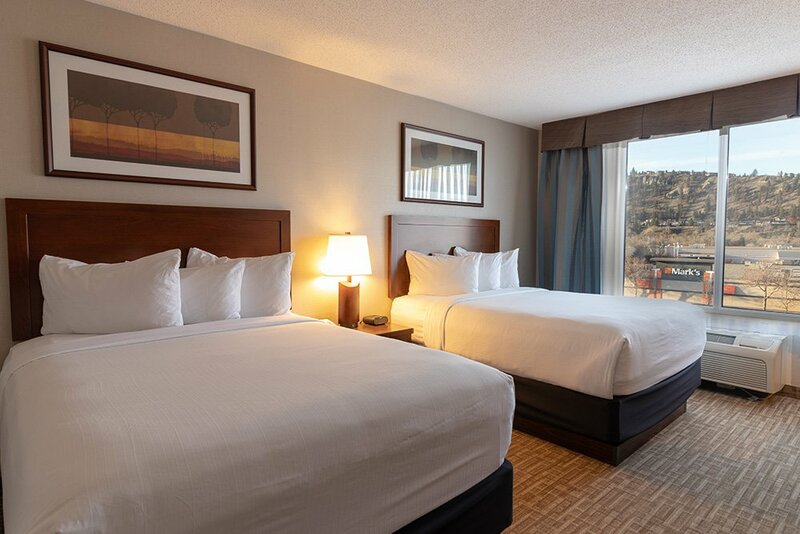 Located in our modern tower, each room features 1 King sized, pillowtop bed appointed with high-quality linen and hypoallergenic pillows at an accessible height. 50” 4K TV, cable, free WiFi, free hot continental breakfast, mini-fridge, microwave and Keurig coffee machine. Accessible bathtub/shower combination with extra large towels, blow dryer, high-quality bathroom amenities, Iron, ironing board and powered work station. 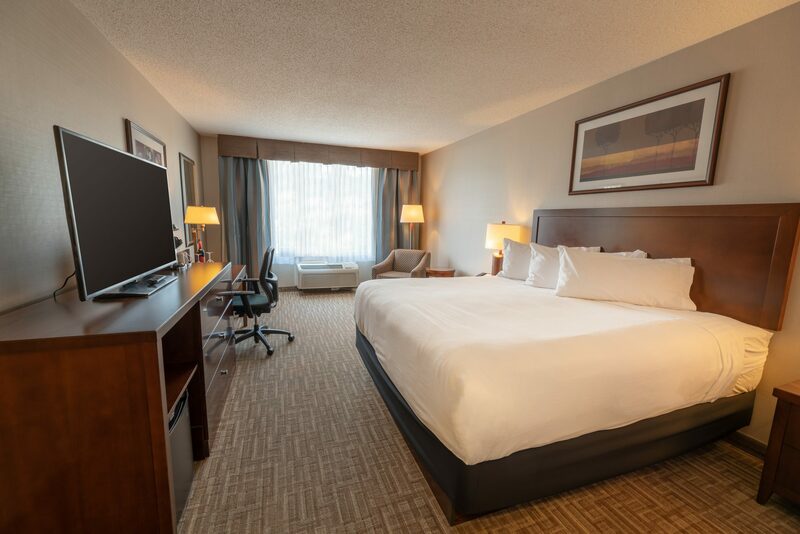 Located on our secure business level, our Deluxe Business King room features 1 King sized, pillowtop bed appointed with high-quality linen and hypoallergenic pillows. 50” 4K TV, cable, free WiFi, free hot continental breakfast, mini-fridge, microwave and Keurig coffee machine. Private bathtub/shower combination with extra large towels, blow dryer, high-quality bathroom amenities, Iron, ironing board and powered work station. Each room features 1 King sized, pillowtop bed appointed with high-quality linen and hypoallergenic pillows at an accessible height. 50” 4K TV, cable, free WiFi, free hot continental breakfast, mini-fridge, microwave and Keurig coffee machine. Accessible bathtub/shower combination with extra large towels, blow dryer, high-quality bathroom amenities, Iron, ironing board and powered work station. 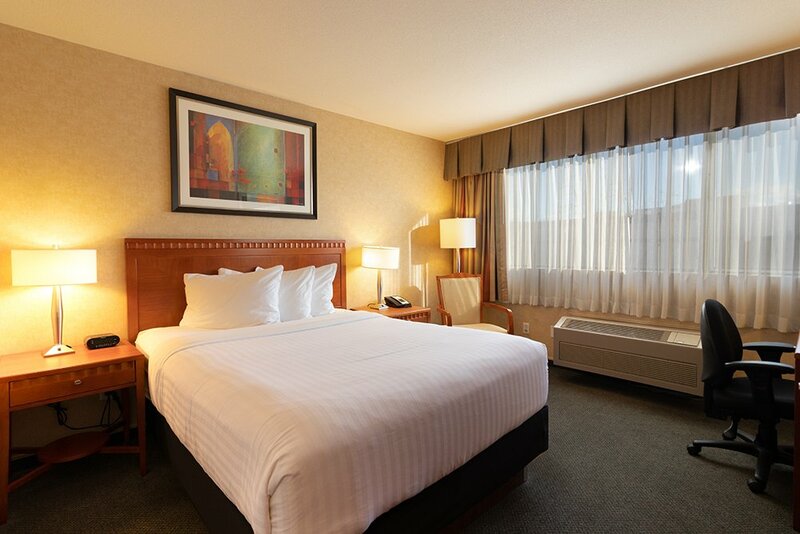 Extra large room features 1 King sized, pillowtop bed appointed with high-quality linen and hypoallergenic pillows. Large, 2 people jetted bathtub, 60” 4K TV, cable, free WiFi, free hot continental breakfast, mini-fridge, microwave and Keurig coffee machine. Accessible bathtub/shower combination with extra large towels, blow dryer, high-quality bathroom amenities, Iron, ironing board and powered workstation.